‘Tis the season of crunchy fall leaves, PSLs, and never-ending to-do lists! Yes, as much as we love warming our hearts (and bellies!) during Thanksgiving, the holiday can be downright stressful among the grocery shopping, meal planning and decorating. (Not to mention all the mental and emotional preparation required before seeing that uncle. You know the one.) To top it all off, you need to keep your active little ones occupied. While we can’t assist you while you duke it out for the last bag of cranberries at the market (we’re rooting for you, though), we can help you busy your kids with these festive fall crafts. Not only will your kiddos stay out of your way, but they’ll also create some adorable decorations you’ll treasure for years to come. Flower crowns are so last festival season. This Thanksgiving, trade in the springtime florals for something a little earthier (and less expensive): cornhusks. 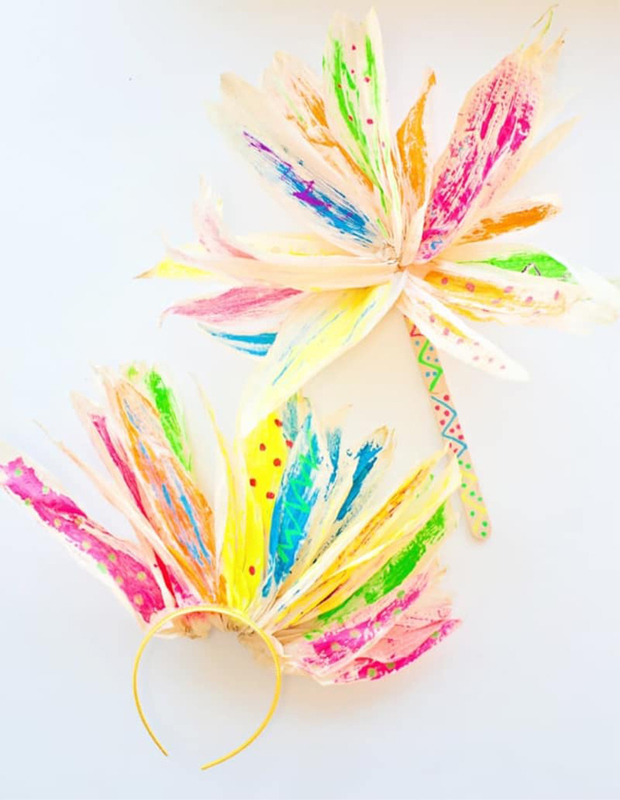 To make these darling head-toppers from Hello, Wonderful, you’ll need paint and paintbrushes, headbands, hot glue and, of course, dried cornhusks. Your kids will be looking like fall royalty in no time. Some of the best crafts are the ones made with materials you already have on hand. 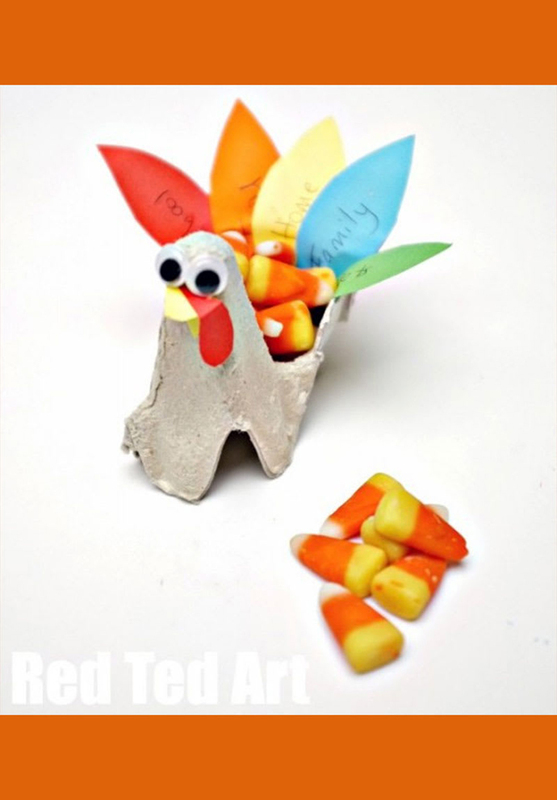 This cute craft from Red Ted Art transforms your used egg cartons into terrific treat holders, perfect for placing around the house for when guests arrive. 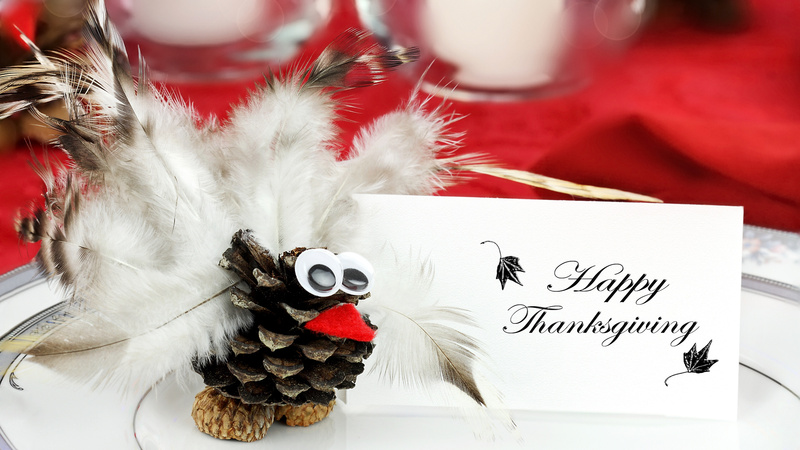 For a personalized touch, have your kids write what they’re grateful for on the turkey plumage. Satisfy your child’s sweet tooth with these delectable Nutter Butter turkey cookies from I Heart Naptime. To make them, you’ll need peanut butter cups, cookies (any oval-shaped treat should do), candy corn, candy eyes and red sprinkles. Stick the items together using some candy-melt medallions or frosting, and voilà, you’ve got yourself a craft so tasty you won’t be able to help but gobble it right up. As much as we love swirls of falling leaves this time of year, the loss of foliage makes our trees look so, well, naked. Spruce up your yard with these ~clucking~ cute turkey windsocks from Happiness Is Homemade. Embrace fall’s warm palette and bust out the red, yellow and orange supplies, including patterned ribbons, decorative feathers and construction paper and paints. This project requires lots of hot-gluing, so we recommend an adult stays close by to help. These sweet pumpkin pie pennant toppers from Embellishing Life Everyday are the perfect craft for the kid who considers themselves a little too old for hand turkeys but still wants to help with the holiday decor. Take a trip to the craft store and pick up some patterned paper, thin twine and large wooden skewers. Have your helper cut the paper into diamonds, fold and glue them together over the twine to create miniature pennants guaranteed to jazz up any dessert table. Not so into tossing the pigskin on Thanksgiving? Start a new tradition that would make the Big Lebowski proud: turkey bowling. These “pins” from The Seasoned Mom couldn’t be easier to make. All you need are some construction paper, brown cups, googly eyes and glue. For a ball, simply grab a baseball or a mini pumpkin. Want to take your game to the next level? Use 10 small butternut squashes instead of cups. Let the good times roll! Is there anything cuter than a pine cone critter? The next time you’re on a stroll, have your kids collect a few pine cones and acorn tops, which you’ll use for your turkeys’ bodies and feet. Later, glue on some store-bought feathers, googly eyes and a construction paper nose to give your fowl some personality. If you’re tired of turkeys, you can use pine cones to make a variety of woodland creatures that can easily be used in your Christmas decorations.